The first on the best Japanese cars’ list is Honda NSX. It is one of the first and most reliable super cars that was ever built in Japan. It also presented some great driving mechanics and styling issues that were first seen with this sports vehicle which was surely ahead of its time. The car has one advantage to it that other cars did not and that is the help of F1 world champion Ayrton Sena. He helped with the car design and his inputs and ideas have directly influenced the making of this one of the best Japanese cars. It is a real pity that the car was only produced within the period between 1990 and 2005, and only 18.000 pieces were actually made. It is also great for many other things as it was the first car that featured an all-aluminum monocoque body and a look that was directly inspired by an F-16 fighter jet. The Mazda MX was directly inspired by some British greats like the Triumph Spitfire and the Lotus Elan and immediately made an impact after its release in 1989. The car presented a revolution in the sports car industry as its main focus was based on the handling and not on raw power of the vehicle that the cars of the time used to follow. This was a revolutionary idea and soon proved to be the right one, as we have the emerging success of the MX-5 as the proof of this premise. Soon after, many cars followed this pattern as well. The car has managed to come up with 3 generation of this vehicle, we are eager to find out what the 4th generation will bring. 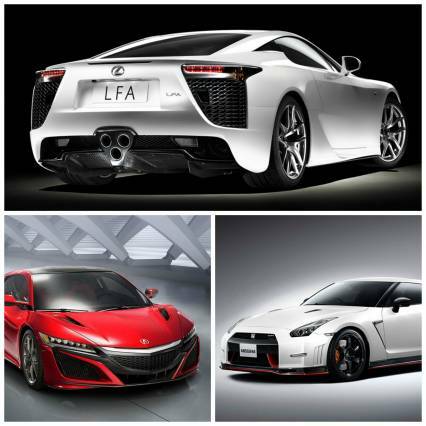 The new generation will likely end up among the best Japanese cars without a doubt. This car is not that well known to the people outside the Australasian region, but never the less it presents a great product that came out of the manufacturing lines of Japan. Despite only being available in this part of the world and certain markets, the car has been able to make a great name for itself. The origin of the car goes as far as 1969, but its rejuvenation process started in 1989 when this car was remodeled and brought back to a more contemporary style and some great performance characteristics. Today, people mainly know it as a street racing vehicle which is high in demand, and its specs certainly justify this idea. If you have seen the James Bond movie “You Only Live Twice” then you know what we are talking about. If the performance abilities of this vehicle were not enough to convince you of the potential of this vehicle, than the appearance in the movie certainly has. This one of the best Japanese cars was actually produced with the collaboration and combined effort with Yamaha and it provided one of the best designs that we have seen from a Japanese-made car. The only bad thing is that the car was produced for only three years and during that period only 351 pieces were produced. Now we can regard this vehicle a rarity and something that is not easily found on the market, especially for collectors. The Insight cannot pride itself for being extremely good looking in an era of vehicles where sexiness is a somewhat prime characteristics and something that is necessary from a vehicle. But in fact the car does not need this at it has other advantages working for it. 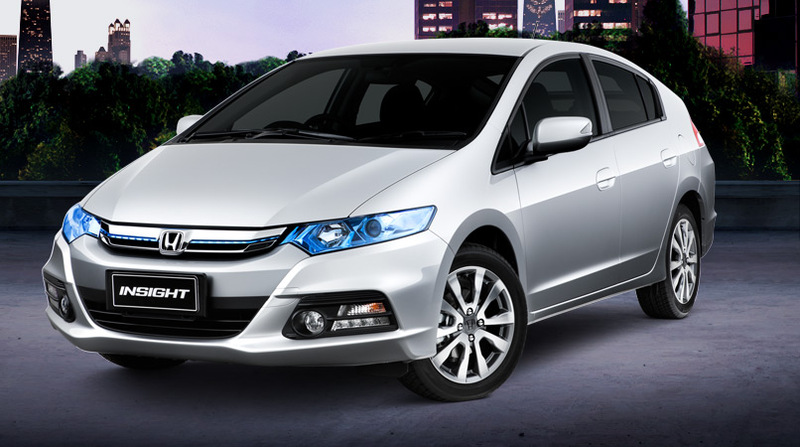 Efficiency is the key work here and the Honda Insight is a vehicle that takes efficiency into a whole new level. The contemporary age has brought us to start to think more about the price of fuel and the amount of gas our vehicles use, and not to mention the pollution that the CO2 emissions cause. Where all the contemporary vehicles have took a page from the Insight’s book and used its characteristics and incorporated them as their own. This is what makes the Honda Insight a part of our best Japanese cars list. Its lightweight materials and aerodynamic design are its main tool in achieving better efficiency. This car is another featured best Japanese car that has made its name based on the aftermarket parts that it has received and tweaks and upgrades that it go. The car truly has remodeling value, which made it easy for the people to overhaul this car into a dangerous and fast street racer. Originally, it is a two-door coupe vehicle and is a part of every car racing enthusiast top tear list of racers which it achieves by using its Wankel rotary engine and a design which incorporates pop-up headlights. 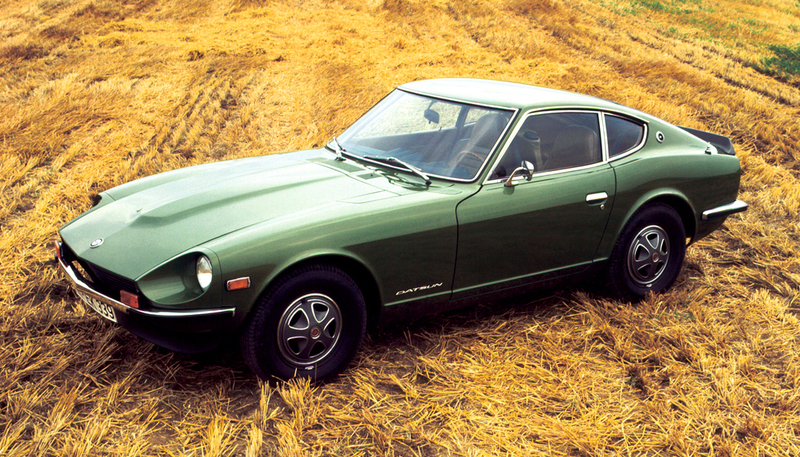 The Nissan 240Z is an important vehicle by itself as it was the first car that truly attracted the audiences in the West and made the vehicle attractive to the people outside Japan. This has of course led to the eve growing evolution of Japanese car fans that only grew in magnitude ever since. The thing this car had on its side was a great design and some pretty solid looks. This two seat coupe managed to get the attention of the people in the old fashioned way and that is by being pretty. The car design was what more than great and it lead it to achieved immense success in the Western market. Definitely one of the best Japanese cars around. What brought the popularity to the Impreza vehicle is its impressive run at the racing industry. The car was first and fore most known as a racer, which later went on to be its main characteristic that brought it much acclaim with the fans all over the world. The car managed to win three construction championships and three driving championships in a row and it more than enough made its case in being incorporated in every list of the best Japanese cars on the market. The WRX is important for another thing, and that is bringing the revolution in race car design. So who would you rather copy from? The sanest result is the champion of course. Thus the WRX has inspired the production of many street racing vehicles that were later on developed. Subaru is clearly one of the best Japanese cars. This is a true super car and one of the best Japanese cars. Perhaps it is not the first or the most legendary one, but it is certainly one of the best ones. 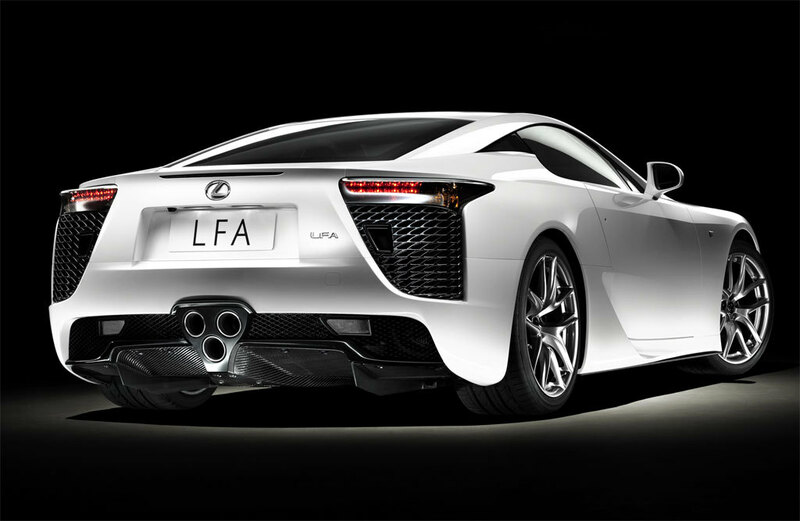 We have decided to rule out tradition this time and choose performance over legacy and as the LFA is a car that has performance on its side more than anything else. The car was actually produced only in the period between 2010 and 2012 and during this period only 500 units were made and the lucky few that were able to get them are now enjoying them. What makes this car even more unique is that it was hand built with carbon fiber-reinforced polymer and included a 552bhp V10 engine under its hood. Rarely does a list include a hybrid car in its top best vehicles, but this time we decided that it was only reasonable to add one due to its characteristics and performance. The Honda Accord was a long time first choice as a family vehicle because it is practical and reliable. But the car has another thing going to it and that is the easiness of the driving feel. The car is very easy to drive and maneuver with which is a direct result of its three available driving modes. You can run this car on pure electricity. Use the engine drive or combine it with a hybrid drive. Either way its low gas consumption and low gas emission numbers make it a car that deserves to be on the best Japanese cars’ list. Many people feel that this car does not just deserve a badge for being one of the best Japanese cars but also one of the best cars in the world as well. First of all, the looks. The car has one of the best designs that have ever been put to use on a vehicle and incorporates some modern and contemporary good looks, particularly with the big fenders that have been added. Although this is not a sports car in its primary use, the combination of the engine and the shifter make it shift like one. The 184 hp, 2.5-liter SkyActiv engine combined with a 6-speed transmission system was a perfect choice with the making of this car. Thus a reliable and great driving performance car is the result which enables each family or business man to get on with its work and having an appropriate vehicle to do it in.